A selection of audience tweets from the opening night of Jonathan Kent's production of Puccini's passionate drama. 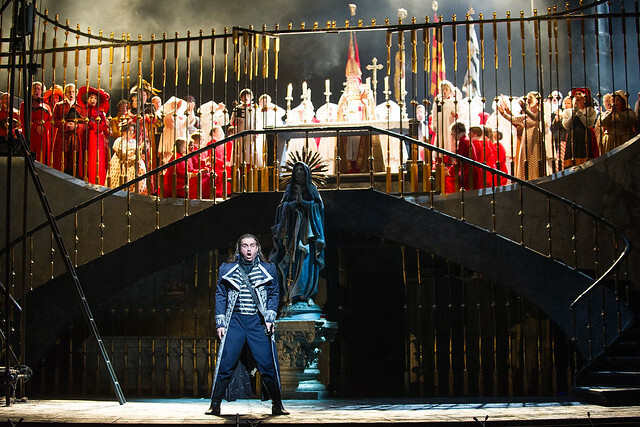 Tosca runs until 20 July. There is limited availability. On 18 July it will be shown LIVE (and for free) on outdoor screens across the UK as part of BP Big Screens. The production is generously sponsored by Xstrata and generously supported by Roland and Sophie Rudd and the Royal Opera House Endowment Fund. Superb performance - definitely my favourite Puccini opera (almost comes close to Verdi). Antonenko & Serafin were particularly good throughout. I though Hendricks struggled vocally a little in Act 1 but much better Act 2, though his acting was excellent. I agree with Steve and made the same comment half way through Act 2.